Shooting Chaitra and Chinmay for this maternity shoot was a blast. They were super prepared and had several great ideas on how they wanted to be portrayed. We did the shoot nearing sunset at Burke Lake Park, VA. The evening was cloudy so did not get to see any golden skies but the cool weather really helped keep the energy up. 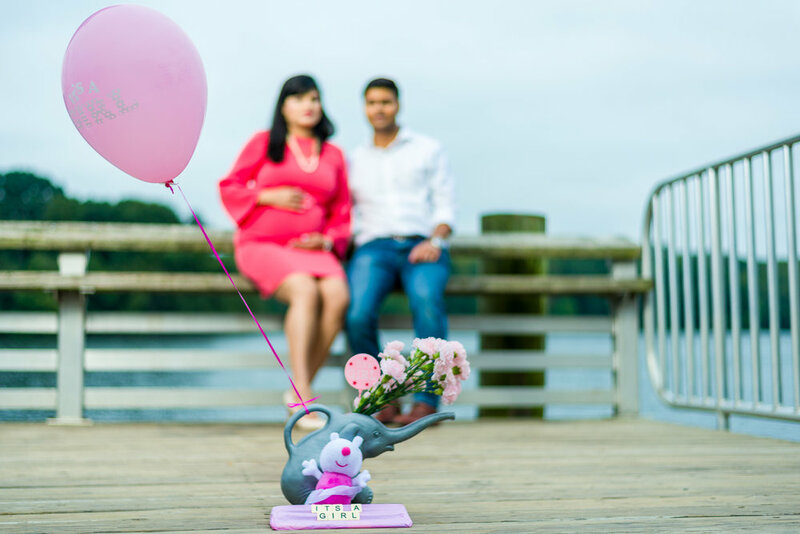 Chaitra's lovely pink dress added some real pop to the photos and the props they brought along really came together to tell their story of how excited they were for their baby girl and could not wait for the big day when she joined their family.